Here is to another successful year 2015! The AVCR Veneto futurity took place from the 12th to 13th october in Portogruaro, Italy. I competed with Mr. Rietta Dakota and Show me my cash. The show was a great success, I achieved the title of 3yo limited and intermediate open champion with Mr. Rietta Dakota owned by Glis ranch. I also achieved the 5th place 3yo limited open with Show me my cash. The September issue of the slovene horseman magazine Revija o konjih features a four page interview with me done by Irena Krnc. 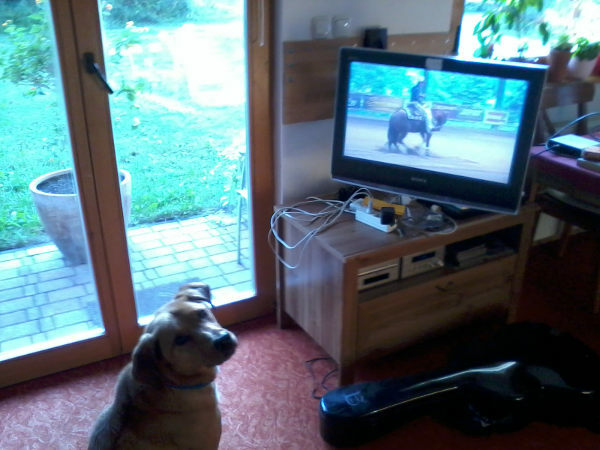 The competition took place in Wiener Neustadt from the 14th to the 17th of August and I competed with Show Me My Cash and Gloo Dry Lena. With Show Me My Cash I qualified for the level 1 and level 2 open (3yo) finals. I also achieved the 5th place in level 1 and 10th place in level 2 open (4yo) finals with Gloo Dry Lena. 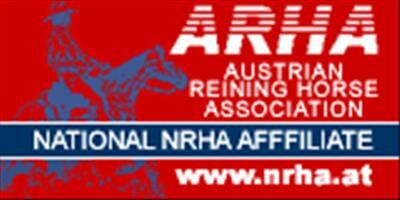 This year’s NRHA European Futurity 2013 has now ended. I have competed with Gloo Dry Lena in the L1 open category finals after being 8th in the First Go-Round. Unfortunately, the final round did not go so well, since I made zero points because of a mistake and ended the L1 open finals 10th overall. Despite that, I am satisfied with my performance because I have already surpassed my expectations by directly qualifying to the finals. I am also certain that the experience of having competed on such a high level will be invaluable for my future shows. The final round of the NRHA European Futurity 2013 is now taking place. I am competing with Gloo Dry Lena in the L1 open category after being 8th in the First Go-Round. The final results for L1 open category are in and I am proud to announce that I have qualified for the L1 open final, with 8th place and a total score of 205.0 points (with Gloo Dry Lena). The final round takes place on Saturday, the 20th of April and I will provide links to live results and video stream later this week. Full results for the First Go-Round are available here. Tomorrow, on the 15th of April 2013 at 8:00 CET, begins the 2nd section of the first Go-Round for the L1 and L2 open categories in which I am competing. Live results, as they come in, will be available here. There will also be a live video stream of the event (for the price of 15€) available here. This year I am competing in the NRHA European Futurity in Kreuth, Germany with Gloo Dry Lena, a 4 year old mare, trained by me at Ranch Marina. The event will start on the 12th of April and you can check the start list here. I am competing in L1 and L2 open categories. The first go-round for the open category is on the 14th of April. You will be able to check the results here and I will also provide you with a link to a video stream of the event when it begins. Gal Grahelj © 2013. All rights reserved.